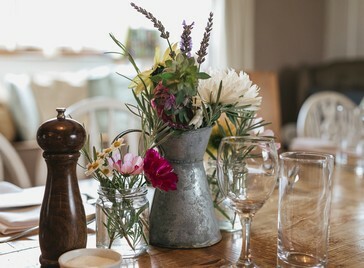 Whether you are planning a presentation for up to 60 delegates, or an intimate meeting between colleagues; River Cottage HQ provides a truly unique venue to escape from the office and be inspired. Our event coordinator will work closely with you before the event to meet your bespoke requirements and your host for the day will ensure your group has an unforgettable experience. After a busy day of meetings why not round off the day with a sumptuous dinner?